The BiCi Co. program at the Center for Latino Progress has done an amazing amount of work in just one year. On Wednesday, August 24th we celebrated those accomplishments with the individual contributors and volunteers that made it happen. Check out the photos from the Wednesday event on the BiCi Co. Facebook page. We’ll post BiCi Co. accomplishments in an upcoming blog post. It is a very long list! It would not suit our nature to rest on our laurels and waste the momentum generated in the first year. BiCi Co. is spring boarding directly into the next phase. In order to support a long term, sustainability we need to incorporate a social enterprise component. The world of non-profits is often a roller coaster of grants and program funds. 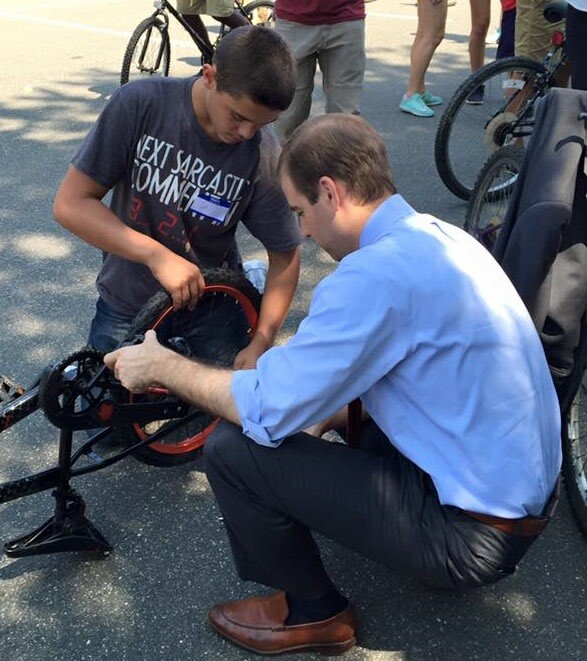 Bringing a community bike shop storefront to Hartford will serve our community (a city with no bike shop) and smooth out the funding stream for community benefiting programs. BiCi Co. will still use grants and program funding to have the most impact, but the social enterprise will contribute a portion of the overall operating budget. With help from our members and funders BiCi Co. is planning to expand our footprint at 95/97 Park Street. To incorporate a storefront with a paid clerk, mechanic, and job training we need to renovate two rooms to expand storage and community programming. The storefront facing Park Street will be converted to retail that sells up-cycled bicycles, replacement parts, accessories much needed by our neighbors. The room behind the storefront (repair shop) will be staffed by mechanics and mechanic trainees. Share with friends and keep up the momentum! The storefront will serve as the front door to the Center for Latino Progress’s community programming and classes. The clerks will be trained in both BiCi Co. and the Center’s program offerings and be able to share information and connect visitors to resources. BiCi Co. will invigorate a long vacant storefront with activity and visitors. BiCi Co. is strategically located at the node between Downtown Hartford and the bustling Park Street commercial and retail corridor. 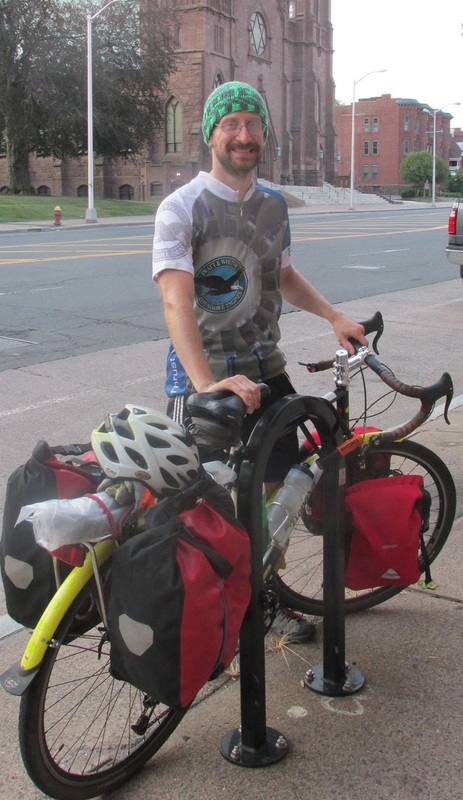 As the only bicycle shop in Hartford the store will serve as a key node for the entire city. The BiCi Co. storefront will serve residents, Hartford visitors, newly minted Downtown Dwellers, and those employed in the city. BiCi Co. needs support from members and financial donors to make the dream of a community based shop in Hartford a reality. 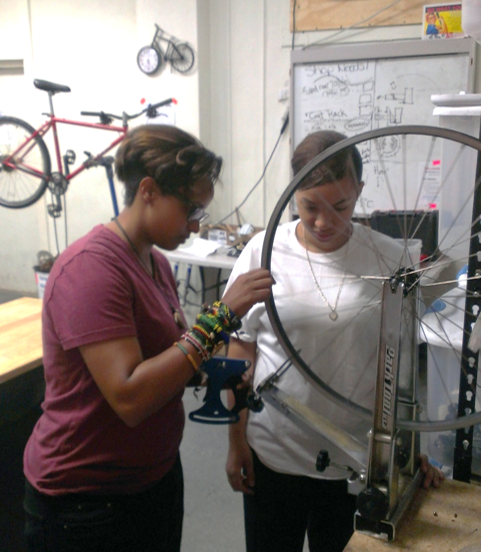 To become a sustainable venture, BiCi Co. is incorporating the storefront social enterprise. The shop will contribute ongoing funds to its own operation AND community programming. Funds raised during this campaign will go towards renovation of the community rooms, an upgraded storage room, and the retail store. The funds donated by individuals and members will be amplified by monies raised through grants and corporate sponsorship that BiCi Co. is pursuing in parallel. The first edition BiCi Co. t-shirts were a sellout success in the 2015 membership campaign. This year we’ll be offering 2016 t-shirts (new color tbd) as a separate donation benefit. You can donate separately for just the t-shirt, or combine your donations to get both the membership and the t-shirt together. 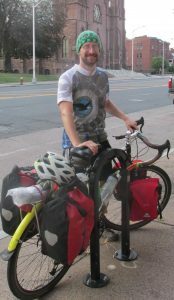 To support the annual BiCi Co. fundraising and membership campaign Anthony Cherolis (that funny looking guy in the photo below) will be cycling from Hartford, CT to Minneapolis, MN – a mecca for sustainable urban transportation. You can follow the trip here on the BiCi Blog and on the Facebook page. Let’s make this happen! Aside from contributing, you can make this pop by sharing the campaign and these blog posts on your favorite social media. BiCi Co. is a program of the long running Center for Latino Progress – CPRF, a 501c3 non-profit charitable organization.